Out of all the parts of your vehicle, the tire has the highest probability to wear out quickly. This is due to the constant contact with hard textured surfaces. Selecting the right kind of tire for a Prius can be quite a challenge these days. There are many tires from different manufacturers in the market, and each claim to be the best. However, it is necessary to dig up enough information on different tires before deciding. This will not only save you from buying the wrong product but also help you make a clear comparison between different tires for your Prius. Yes, tires are round, black, and made of rubber. But here’s something you may not know – rubber comes in hundreds of makes, compound, styles, and qualities. Selecting the right one could literally be the difference between life and death. Taking pricing as a factor doesn’t necessarily means you should go for the cheapest option without considering the pros and cons. While reviewing various options for our readers, we try to recommend a pricing in-between. The pricing shouldn’t be too expensive to put a hole in your pocket, and not the cheapest– but ultimately provide you value for money. When going for a tire for your Prius, look at the best options that give you longevity, efficiency and sits well with your budget at the same time. When you change your tires, be sure to keep their original dimension. You can determine your tire size by using the size selector tool available on many websites including Amazon. It is also important to take into consideration, the load index (maximum load that the tire can support) and the speed index (maximum speed that the tire can support). It is not advisable to mount a tire with a lower speed index than the original one, but you can opt for a higher index. 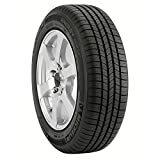 Although there are several root causes of tire noise in a vehicle, some brand new tires can be noisier than others due to the style of the tread design. Tires with more aggressive designs will naturally create more noise. Doing a bit of research and reading individual reviews of a specific model of tire, can give you proper knowledge on the noise level. Humid weather conditions can also affect the performance of your car tires. The resistance or traction between the tire and the road decreases due to wetness. This causes a decrease in the control of your car, especially when driving at high speed. Your car tires are usually exposed to such difficult conditions. You should make sure that they can handle these situations properly. The all-season tires are designed to cope with these harsh conditions. It gives you full control of your car irrespective of the weather condition. While all-season tires do wonders in almost all kinds of situations, they do not work effectively in the snow. They can still run on snow, but not as efficiently as those specially designed to use in the snow. All-season tires perform well in general weather conditions. But real winter condition needs a real winter tire, specially designed for cold and snowy conditions. The winter tires are indispensable in every way. Before now, winter tires were noisy and unsuitable for dry conditions. But modern winter tires are made of special rubber compounds that are suitable for all weather conditions. If you live in a region where it tends to get extremely hot during summer, then summer tires are your best bet. The tires are made with special compounds that allow a better grip on heated roads. Summer tires also improve the performance, handling efficiency, and braking aspects. Finally, it is very important to consider the worst weather conditions that one might need to drive in. Based on this, you can choose all-season tires or buy separate sets of tires for the summer or winter. If you are looking for a smooth and quiet cruise with your Prius, look no further. The Hankook Optimo features Pitch technology, which reduces tire noise. The blocking of the central rib of the tread improves handling and stability when changing direction. It is an all-season, strong and lightweight tire that helps reduces fuel consumption. For this reason, the Hankook Optimo H724 is a more durable option any owner of a Prius can get. To cap it all, it’s a mid-priced product that will fit in, if you’re on a budget. The MICHELIN Primacy MXM4 tire continues a tradition of meeting the demanding standards of the world's leading luxury car makers. A rugged tire for an aggressive Prius driver? The Michelin Primacy MXM4 is your answer. It is Infused with sunflower oil in the tire tread, to help increase traction at low temperatures. This makes it a very good option for cold climate conditions and gives your vehicle more control over snow. A lot of research and technology have been put into this tire by Michelin. This results in fewer headaches than other brands after driving a few thousand kilometers. Although, the Michelin Primacy is a bit pricey, we consider it worth the investment for your Prius. Next on our list is the Yokohama Avid Touring S, an all-season tire designed to run in dry and wet conditions. It is designed with a tri-plex tread compound to give the tire longer tread life. Although the Avid Touring S is designed to handle both wet and dry conditions. You’ll need a dedicated winter tire to cruise your Prius in heavy snow. If you need a tire with the least rolling resistance for your Prius, the Ecopia EP422 Plus fits the bill. It also an OEM tire (Original equipped tire) for the Prius. Bridgestone has had the original EP422 as a good seller over the years. The new EP422 Plus increases the performance level to some extent. Handling and traction are very good for both dry and wet conditions. So far, life seems to have improved a lot. Efficient fuel design further improves fuel efficiency for drivers seeking to save money. Even if the gains are minimal, the savings can accumulate to a reasonable amount over time. A major concern with this model is its low traction in winter. Whether in heavy snow or ice, it struggles to slow down and speed up. 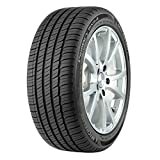 This is supported by reviews from many drivers about the tire. Our advice would be to use a dedicated winter tire on your Prius during the winter months. If winter traction is not an important factor in choosing a new set of tires the EP422 Plus is an excellent choice. A good all seasons that saves more fuel and offers good value for money at a lower cost. Michelin’s Energy Saver A/S is the company’s latest. The low-fuel, radial model designed for small and mid-sized vehicles like the Prius. Energy Saver A/S uses a specially formulated silica compound. This gives the tire traction in all seasons and reduces rolling resistance. The asymmetric tread design features independent tread blocks that improve handling. Michelin has tried to deliver a comfortable and quiet ride with this model. Its exclusive comfort control technology uses a computer-optimized design process. This helps to minimize road noise and vibration. While the company has put a lot of effort to reduces the noisy ride, reviews from other drivers say otherwise. If you care less about the road noise, then the A/S energy saver offer more for your Prius. The durability and friction is definitely a plus. From the list above, we picked the Michelin Primacy MXM4 as the stand out for Prius. This ride is built to weather the storm during hot and wet days. It is free from distracting noise and the excellent tread life gives you high performance on the road. It is difficult to find any faults with the Primacy MXM4. 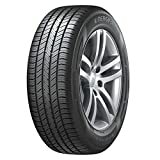 Overall, this is a good all-season tire with good standard and one we can recommend for your Prius.